You must be a member of the Dubai Japan Lovers Group to attend this activity. Would you like to join this group? Max 8 seats, first confirm, first get seat. In Dubai, there are some places where we can feel like Japan. In Winter, we eat hot pot quite often. 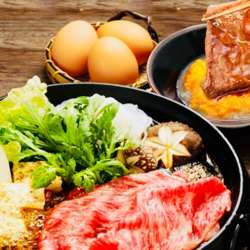 Sukiyaki is one of popular hot pot, to cook on the table, beef, tofu, vegetables with sukiyaki sauce and dip in raw egg. 【Kindly only sign up, if you are sure to wish joining it. After signing up, please send attendance confirmation msg.